Foundation Home Loan’s commercial director Andrew Ferguson has stepped down after nearly two years at the firm. The lender’s chief executive Hans Geberbauer will now take over the management of sales. Stephen Sandiford who recently joined Foundation Home Loans as director of residential lending, is taking on the position of director of product and proposition. 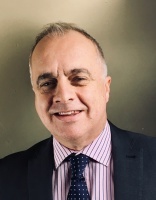 Strategic adviser David Finlay, who joined the firm in February, will also be stepping up his involvement in Ferguson’s absence, assisting the head of national accounts and national sales manager at the firm. Foundation Home Loans chief executive Hans Geberbauer comments: “Andrew Ferguson leaves Foundation with our thanks for his contribution towards the growth of the business over the last two years. Head to Head: Is the housing market headed for a post-Brexit bounce?